CyberArk es la única empresa de seguridad centrada en la eliminación de amenazas cibernéticas que tienen un objetivo claro: infiltrarse con el fin de atacar el corazón de la empresa. Dedicados a interceptar ataques antes de que éstos detengan la actividad empresarial, las principales empresas del mundo confían en CyberArk — incluyendo 45% de las 100 primeras empresas de la lista Fortune — para proteger sus activos de información, infraestructura y aplicaciones de mayor valor. Enforcing privilege security on both endpoints and critical servers is a fundamentally important part of any organization’s security program. Available as a Software-as-a-Service or on-premises server, CyberArk Endpoint Privilege Manager is a comprehensive solution that enables organizations to block and contain attacks on endpoints and servers to reduce the risk of information being stolen or encrypted and held for ransom. A powerful combination of privilege management and application control reduces the risk of malware infection. Unknown applications can run in a restricted mode to contain threats while maintaining productivity, and behavioral analysis identifies and blocks credential theft attempts. These critical prevention and protection technologies are deployed as a single agent to strengthen your existing endpoint security. The biggest challenge organizations face today with regards to their super-user and administrator accounts is understanding who is accessing business-critical systems and information, and when they are accessing them. Compliance regulations require control over privileged accounts to prevent exposure of sensitive information to unauthorized users. CyberArk On-Demand Privileges Manager, part of the CyberArk Privileged Account Security Solution, enables organizations to enforce least privilege policies in order to balance security and compliance requirements with operational and end-user needs. The product is built on the CyberArk Shared Technology Platform, delivering scalability, high availability and centralized management and reporting. CyberArk On-Demand Privileges Manager is a unified access control product, allowing organizations to control and monitor the commands super-users can run based on their role and task at hand. The solution reduces the usage of privileged rights within an enterprise and enforces least privilege policies for superuser rights. CyberArk On-Demand Privileges Manager replaces siloed Unix sudo command with an enterprise-ready, scalable product with unparalleled security as well as enhanced audit capabilities. Application credentials including SSH keys and hard-coded, embedded passwords are easily sought after and exploited by cyber attackers when left unprotected. Securing, managing and automatically rotating these credentials impose significant challenges and overhead costs to IT departments. As a result, many organizations never change application credentials, leaving the organization vulnerable to an attack. CyberArk Application Identity Manager, part of the CyberArk Privileged Account Security Solution, enables organizations to protect critical business systems by eliminating hard-coded credentials from application scripts, configuration files and software code, and removing SSH keys from servers where they are used by applications and scripts. Application Identity Manager offers agent and agentless deployment options to best meet the security and availability requirements of various business applications. The product is built on the CyberArk Shared Technology Platform, delivering scalability, high availability and centralized management and reporting. Organizations need to approach security with this thought in mind: Attackers will get inside. And once they do, attackers operate undetected for months by impersonating authorized users. This inside access enables them to do irreparable harm resulting in damaged reputations, financial losses and stolen intellectual property. With targeted analytics, organizations can detect attackers sooner – even when they look like authorized users – enabling security teams to respond immediately and contain in-progress attacks. CyberArk Privileged Threat Analytics, part of the CyberArk Privileged Account Security Solution, is a security intelligence system that allows organizations to detect, alert, and respond to cyber attacks targeting privileged accounts. The solution is designed to identify an attack in real-time and automatically respond to stop an attacker from continuing to advance the attack. At the core of the solution, the analytics engine runs a sophisticated combination of proprietary algorithms – including both deterministic and behavior-based – on users, entities, and network traffic to detect indications of compromise early in the attack lifecycle. 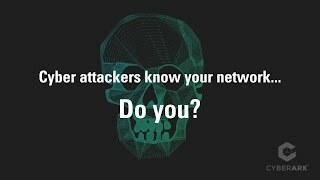 By identifying attackers early, security teams have more of the critical time they need to be able to stop an attack before it stops business. In today’s collaborative environment, organizations must support a range of end-users accessing privileged accounts including third party vendors, contractors, temporary employees and more. To mitigate external and internal risks, organizations must manage and monitor privileged account sessions without impacting the end-user experience. CyberArk Privileged Session Manager, part of the CyberArk Privileged Account Security Solution, enables organizations to isolate, monitor, record and control privileged sessions on critical systems including Unix and Windows-based systems, databases and virtual machines. The solution acts as a jump server and single access control point, prevents malware from jumping to a target system, and records keystrokes and commands for continuous monitoring. The resulting detailed session recordings and audit logs are used to simplify compliance audits and accelerate forensics investigations. Privileged Session Manager is an agentless solution designed for maximum security including tamper-proof audit logs, enforcement of monitoring and recording, and session isolation to prevent the spread of malware. A universal connector allows organizations to extend session management to virtually any component of the IT infrastructure. The solution is built on the CyberArk Shared Technology Platform, delivering scalability, high availability and centralized management and reporting. SSH keys are commonly used within enterprise IT organizations to authenticate users to privileged accounts and verify trust during automated application to application communications. 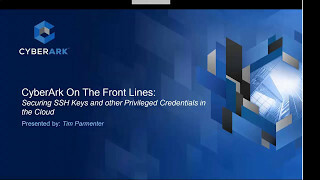 In an unmanaged state, these privileged credentials are stored on vulnerable endpoints and can be easily shared, lost or stolen. If not properly addressed, SSH vulnerabilities can leave gaping holes in an organization’s privileged account security strategy and leave sensitive information at risk of compromise by advanced external and inside attacker. CyberArk SSH Key Manager is designed to securely store, rotate and control access to SSH keys to prevent unauthorized access to privileged accounts. Built on the CyberArk Shared Technology Platform, SSH Key Manager leverages the Digital Vault infrastructure to ensure that SSH keys are protected with the highest levels of security, including the encryption of keys at rest and in transit, granular access controls and integrations with strong authentication solutions. Detailed audit logs and reporting capabilities provide visibility into key usage to meet audit and compliance requirements. SSH Key Manager integrates with the CyberArk Privileged Account Security Solution, enabling organizations to protect all privileged credentials, including SSH keys and passwords, from a single integrated platform that can be built out over time in accordance with business needs. Privileged accounts provide access to an organization’s most sensitive data and critical systems, and when left unsecured, the passwords used to access these accounts can easily be lost, stolen or shared with unauthorized users. Without controls in place to proactively secure and manage privileged credentials, organizations can face an increased risk of data breaches, irreparable system damage, failed audits and fines. CyberArk Enterprise Password Vault, a component of the CyberArk Privileged Account Security Solution, is designed to discover, secure, rotate and control access to privileged account passwords used to access systems throughout the enterprise IT environment. The solution enables organizations to understand the scope of their privileged account risks and put controls in place to mitigate those risks. Flexible policies enable organizations to enforce granular privileged access controls, automate workflows and rotate passwords at a regular cadence without requiring manual IT effort. To demonstrate compliance, organizations can easily report on which users accessed what privileged accounts, when and why. CyberArk Brief: How to effectively manage local admin rights on endpoints.